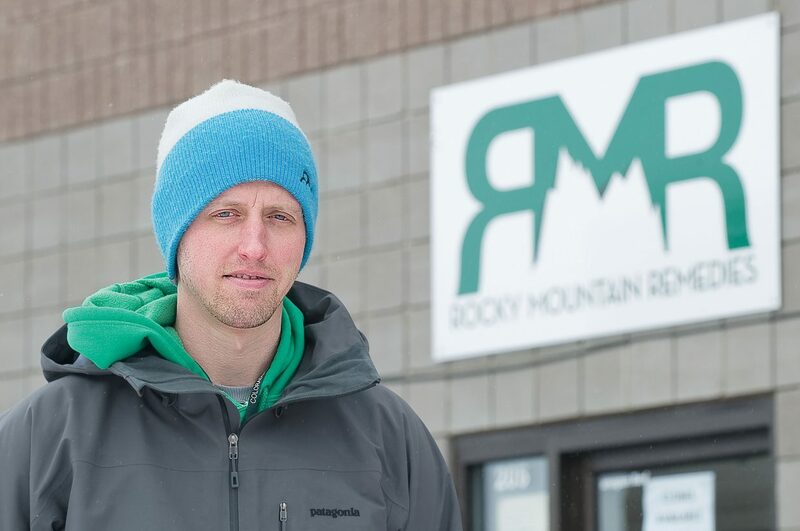 Rocky Mountain Remedies co-owner Kevin Fisher stands outside his Steamboat Springs business. As a business owner, Fisher said, he is concerned about the implications of legalization of recreational marijuana. For more information about the Campaign to Regulate Marijuana Like Alcohol, visit www.regulatemarijuana.org. Steamboat Springs — A state ballot initiative that would legalize marijuana possession for recreational use is getting a lukewarm reaction from the owner of Steamboat Springs’ largest medical marijuana dispensary. Although he supports adult recreational marijuana use, Rocky Mountain Remedies co-owner Kevin Fisher said legalizing pot for all Colorado adults could jeopardize the business model he and other state dispensary owners have worked hard to create. 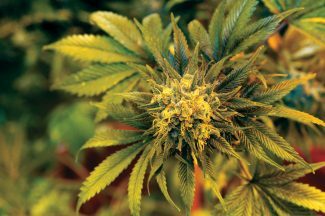 Specifically, Fisher said he’s concerned approval of a system that permits recreational marijuana use would lead to increased federal intervention in Colorado. “While we support adult access to cannabis in any form, we’re not sure supporting this initiative is right at this time,” Fisher said last week. The Colorado Secretary of State’s Office announced last week that it had certified a ballot initiative that would decriminalize adult recreational marijuana use. Amendment 64 would allow adults 21 and older to possess as much as 1 ounce of marijuana and grow six plants in their homes. It also would create a regulatory system. Mason Tvert, co-director of the Campaign to Regulate Marijuana Like Alcohol, said federal intervention isn’t a concern. His group is the one that led the effort to get Amendment 64 on the ballot. It’s too early to say whether federal agencies and the Obama administration would agree. The Obama administration has taken a generally hands-off approach to medical marijuana if patients are in compliance with laws in the 16 states, including Colorado, that permit it. But the administration said it would enforce federal drug laws in California if voters approved Proposition 19 to legalize marijuana in 2010. That measure failed. Jeff Dorschner, a spokesman for the U.S. Attorney’s Office in Denver, couldn’t say last week whether federal authorities would intervene in Colorado if voters approve Amendment 64. Although on a smaller scale, some Colorado municipalities already have decriminalized recreational marijuana use. 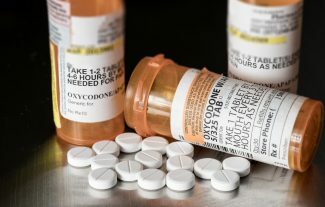 One of the more notable examples is Breckenridge, which in November 2009 passed a measure allowing adults 21 and older to possess as much as 1 ounce of marijuana. Nearly 71 percent of Breckenridge voters supported the measure. Breckenridge Mayor John Warner said some visitors said they wouldn’t return to Breckenridge if the measure was approved, but he said last week that hasn’t happened. And he said the town’s police chief hasn’t reported any more issues with marijuana than before it was decriminalized. With the exception of the occasional person who walks down Main Street smoking a joint because they think it’s legal, Warner said marijuana hasn’t been a problem in Breckenridge. “I have not seen a degradation of our lifestyle, law and order, etc.,” he said. If approved, Amendment 64 would require that the Colorado Department of Revenue adopt regulations that establish an application, licensing and renewal process and fee schedule for retail marijuana establishments. 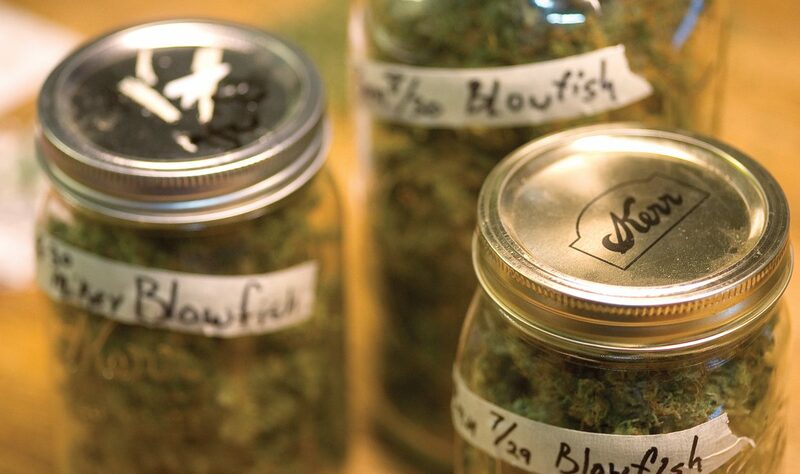 Existing medical marijuana dispensaries could transition to retail shops. The Department of Revenue also would be tasked to create security rules for retail establishments, labeling requirements for marijuana and marijuana-infused products and health and safety standards for marijuana cultivation and product manufacturing. It also could limit advertising and create civil penalties for violating regulations. $40 million generated from that would be dedicated to the state’s Public School Capital Construction Assistance Fund. The measure would allow local municipalities to ban retail establishments. And it wouldn’t permit driving under the influence of marijuana. Tvert added that Amendment 64 also addresses legal cultivation of industrial hemp, which would create a new industry that he said could lead to job creation. 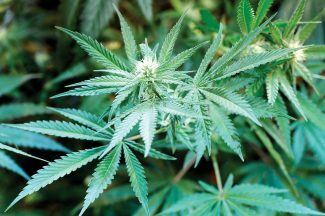 Other pro-marijuana groups have indicated they would seek the more than 86,000 signatures necessary to put a separate legalization measure on the November ballot. 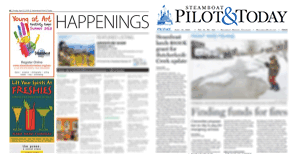 Steamboat’s Fisher, who acknowledged that legalization likely would expand his customer base, questioned what the passage of Amendment 64 would mean for patient access to medical marijuana. In 2000, Colorado voters approved the use of marijuana for people with certain medical conditions and the recommendation of a doctor. 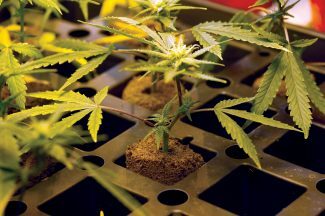 State lawmakers adopted a comprehensive medical marijuana regulatory and taxing system in 2009 and updated it in 2010. Tvert said Amendment 64 proposes a parallel system to the state’s existing medical marijuana laws. He said medical marijuana has demonstrated that Colorado can regulate and tax it without significant issues while providing safe access and limiting the underground market. A statewide measure to legalize marijuana failed in 2006, with 59 percent of voters rejecting it. Fisher said the state’s medical marijuana industry has come a long way in a short time. He didn’t want anything to jeopardize his business, which now employs 40 people.